I've decided to wear something everyday for a month. It sounds crazy to some people and my wife is barely putting up with it. It makes my kids giggle and my co workers stare. I don't care though because I have a good reason for wearing it. I'm growing a mustache for a worldwide event called "Movember." I am doing it to raise awareness and money to help fight cancer in men. This cause is close to my heart because last year my father died of cancer. I am wearing this mustache to honor him and to make a difference. However, as any mustached gentleman knows you can't just grow some facial hair without keeping it trimmed and clean. For a clean shave I turned to Walmart and to Gillette. 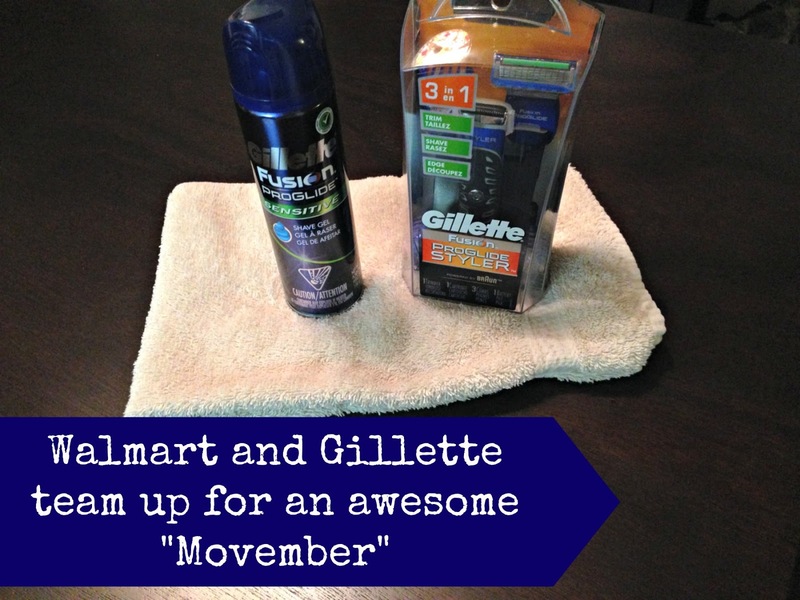 Gillette is a major sponsor for Movember and Walmart has all the Gillette shaving gear you could ask for. I love to let my readers know about products that help make our lives easier as parents. Getting help with your Movember shave (or anytime of the year for that matter) is helped tremendously with a short trip to Walmart. I was able to pick up candy, drink glasses, healthy lunches, and my shaving gear all in one trip. I have to be honest, however. For the last five years I have used an electric shaver. For Movember though I wanted to go back to basics and get a closer shave. I also wanted something that would trim my new 'stache so it would be nice and neat. I knew Walmart would give me a razor that could do both. 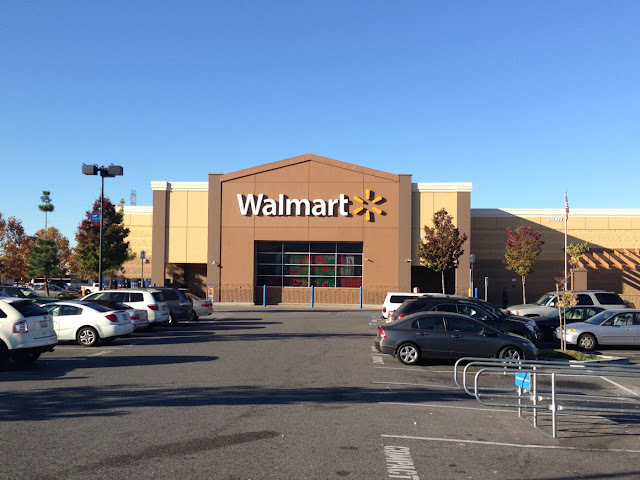 You can check Walmart out on Facebook HERE. 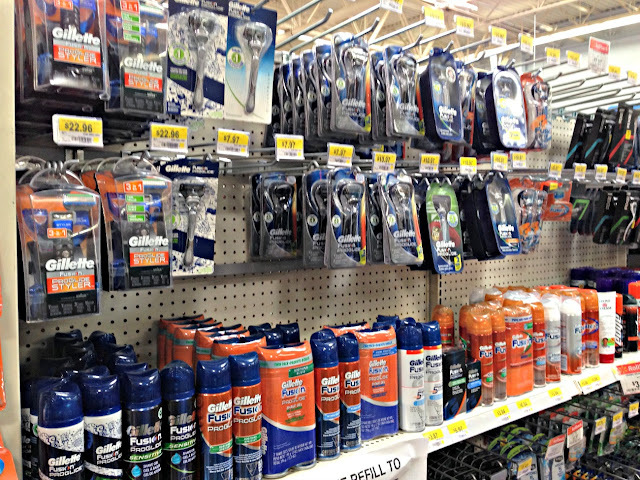 I was shocked to see all the new choices available from Gillette. Remember, the last time I went shopping for other razors was five years ago so I had been out of the game for awhile. After surveying my many options, I knew which one I would take home. It was tough choice and there was a Gillette razor for pretty much any price point and purpose. They had the Fusion, Fusion Power, Fusion ProGlide, disposables, and more. I chose the Gillette Fusion ProGlide Styler. 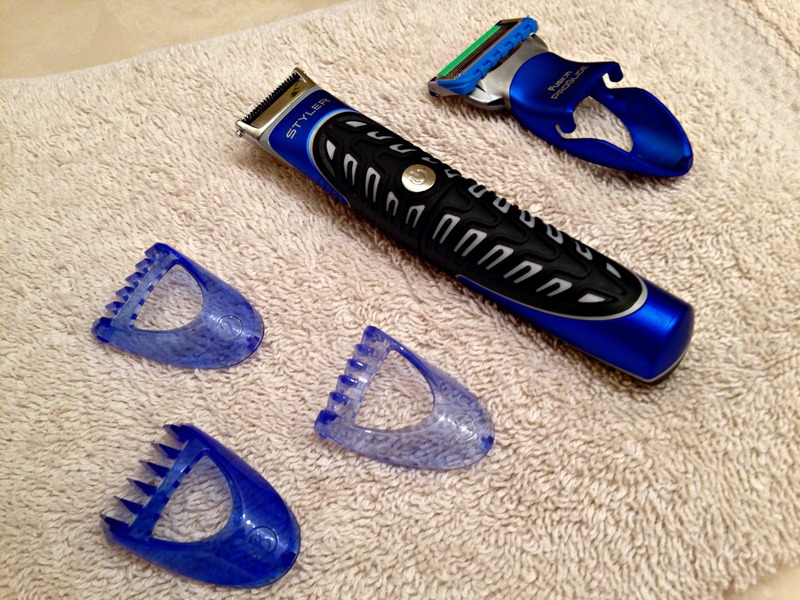 It is a 3-in-1 battery powered razor that trims, shaves, and edges. I felt this was the right choice for the job because I could get a close shave and trim up my facial hair--all with one razor. It is safe for the shower as well! I also picked out Gillette Fusion ProGlide Sensitive Shave Gel because I wanted the extra protection from cuts and from razor burn, since I have sensitive skin. This is especially true around my neck area. I was curious to see if these two products would give me the close shave without the irritation. 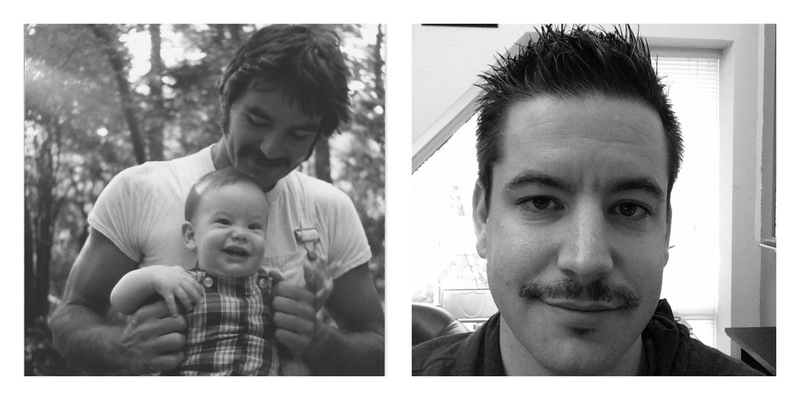 So far my mustache is coming in well, but it has a ways to go before it is as epic as my dad's was. Some of my earliest memories of him were watching him mix his own shaving cream and shaving with a simple blade. While I can't hope to have nearly the 'stache that he did, at least I can save time and get an awesome shave since razor technology has come a long way since then. I couldn't wait to test out the ProGlide Styler. The next morning, I lathered up my face with the Gillette shave gel and ran the Fusion ProGlide Styler over my stubble. I had forgotten what it felt like to shave with a good blade. It took a minute or two to get it right, but after five years it was like riding a bike and took no time at all. I shaved all around my face and neck first. There were no cuts or nicks. I then used the edge to get my sideburns and to trim close to my facial hair. To finish off the shave, I removed the blade and used the trimmer. I was able to clean up my mustache and a little ear hair (Holy cow, where did that hair come from!?) in about a minute. I really liked being able to do all of those things easily with one tool. My wife felt my face and loved the close shave. I'm sure when Movember comes to a close on December first, I will wake up to her happily handing me this razor! It is important to me to keep my mustache looking nice because this is about honoring my dad. You can see his epic mustache, next to my attempt, in the picture above. Walmart and Gillette have helped me to honor him well. I wouldn't be where I am today without my father so I hope that through the conversations I have, and the money I raise, my effort can help to make a real difference. If you would like to donate to Movember and help fight cancer in men, please click here and give. I believe so much in this cause that I am giving financially also. At the top of this post you read that I was compensated for writing this article. All of the profit that I received from writing this was given to the not for profit Movember Foundation. Remember that every dollar helps and your donation is also tax deductible! That is an awesome pic of your dad & you & his epic 'stache! Thanks candy girl it's probably my favorite pic of my dad and I when I was little.